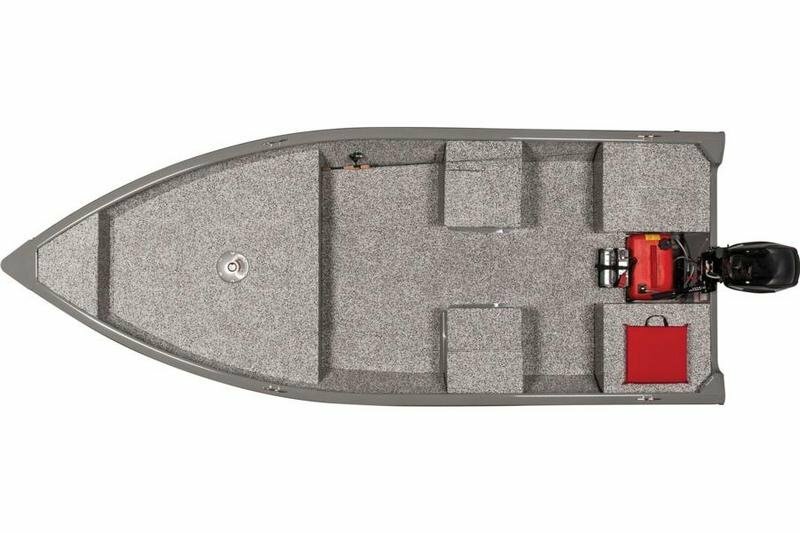 The TRACKER Guide V-16 Laker Deep V is an all-purpose utility boat that sports a deeper 8° V hull for a smoother ride in the chop. 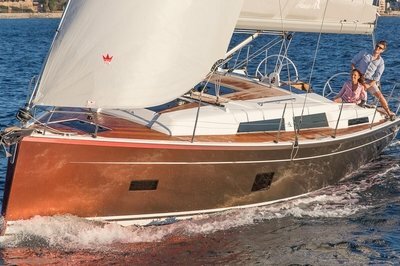 The all-welded .100 5052 marine-aluminum alloy hull is reinforced with a welded-in longitudinal stringer system & pressed-in chines, and the extruded, 1-piece aluminum gunnels feature our exclusive VERSATRACK accessory mounting channel. 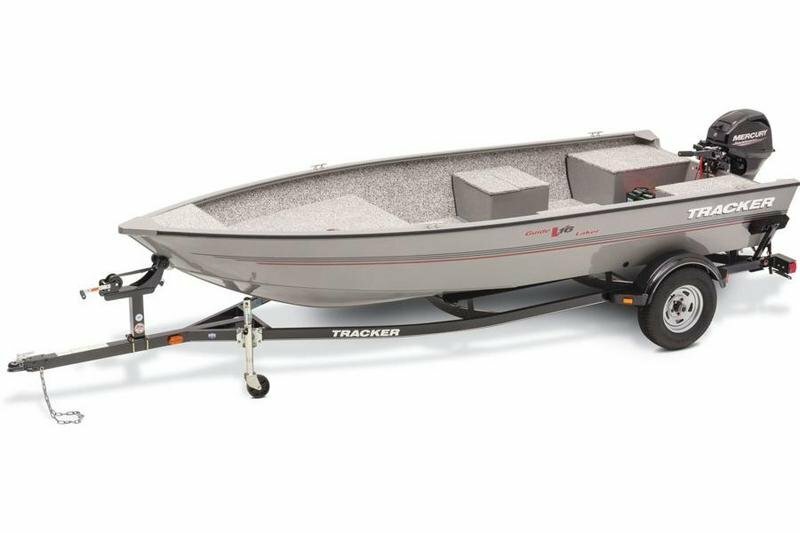 Continue reading for more information on the TRACKER Guide V-16 Laker Deep V.
New for 2015, the front deck has been expanded for a freer fishing experience. A cool Gray Diamond Coat™ finish with industry-exclusive powder coat & clearcoat provides extreme protection and long-lasting good looks. Onboard, you’ll find vinyl-covered raised fishing decks fore and aft (which double as seats)—with a base for an optional fishing seat on the bow deck. Midship, there are 2 vinyl-covered boxes which can be used as seats as well. The port box features a livewell below, and the starboard box has storage below. 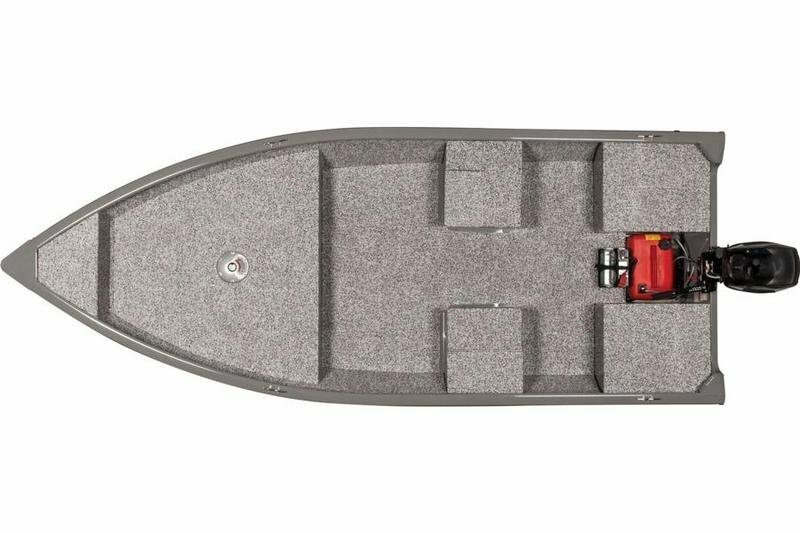 Click on the Features/Option tab to see all the options for customizing your new Guide V-16 Laker Deep V.
Max. person weight 735 Lbs. Max. weight capacity 1200 Lbs. Approx. package weight 1386 Lbs.